We're slap bang in the middle of the Northern Quarter. All the restaurants + bars + shops you could desire, right on your doorstop. 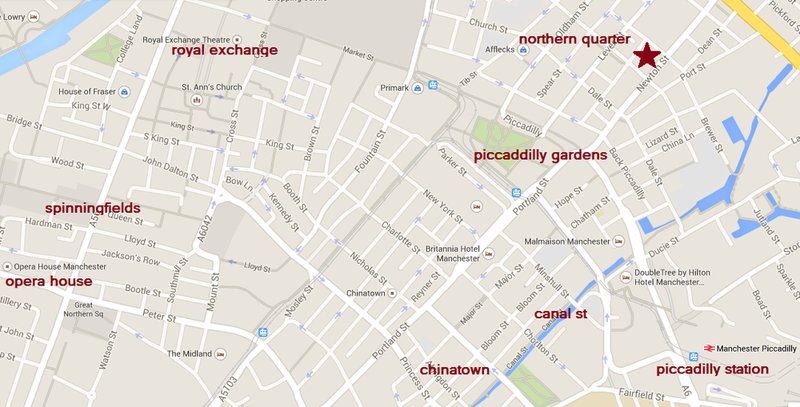 A 5-min walk from Piccadilly station & the business district, 10-mins walk to the Manchester arena, & 15-mins to Spinningfields. Call us if you get lost. Our team know the area like the back of their hands... And they all know the back of their hands worryingly well.